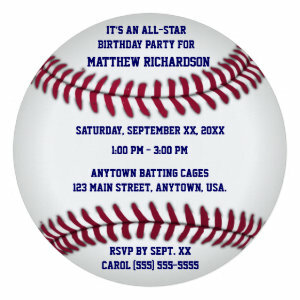 Throw your little slugger a party to remember with a baseball birthday party invitation. 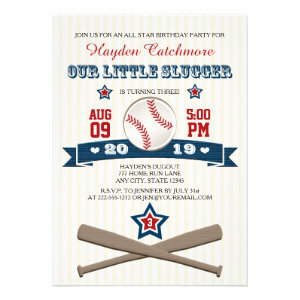 These kid's baseball birthday party invitations are perfect for children who would love to have a party in the big leagues. 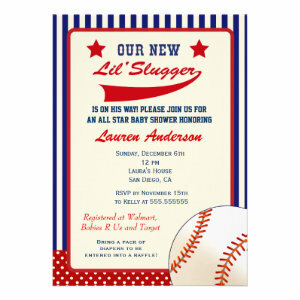 Make sure you hit a homerun this year and throw an awesome baseball themed party. You could have baseball themed games, baseball fancy dress, baseball trading cards, and of course lots of baseball themed snacks, like hot dogs, hamburgers, nachos, peanuts, corndogs, and lots of cotton candy. 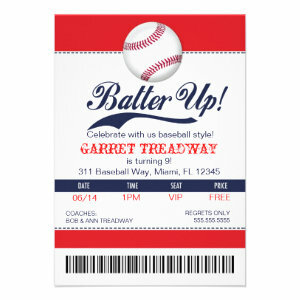 Guests could come dressed as their favourite baseball player for even more fun. 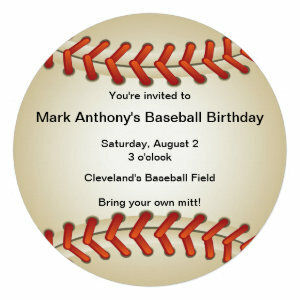 All baseball themed birthday party invitations can be personalized if you choose. 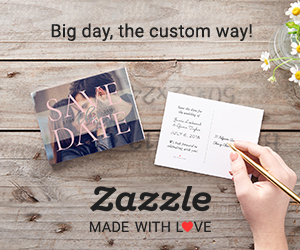 Simply enter your guests names and party details before changing the font, style, colour, and layout. You can also choose from a selection of paper types and finishes for the perfect invitation. 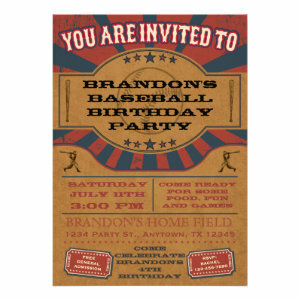 Have a super fun baseball birthday party this year with a kid's baseball party invitation.